My work over the last 20+ years has revealed to me that the member perception of value is paramount. What members (or prospective members) believe is all that matters. What many association executives do not understand is that is is a “relationship bank” issue in member perception of value. Making no, or few, deposits throughout the year equals bankruptcy–but at the end of the year association executives try to take a withdrawal (ask for renewal) when there’s nothing in the bank. Crazy, isn’t it? How can you expect to drink from an empty glass? Funny how some think they can. 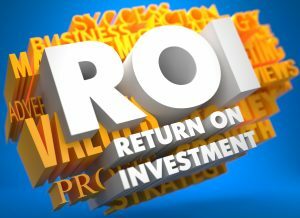 Qualitative research, specifically the Member ROI Valuation Process reveals member perception of value…helping association staff and volunteer leaders to determine what products and services to sunset and what to keep. If something you do only benefits a very few, why are you spending resources in that area? Invest your organization’s resources (time and money) in things that benefit MOST of your members. Build it and they will come…but only if you build it correctly (member expectations) and do an excellent job of communicating why it is in their best interest to come (not the association’s best interest). 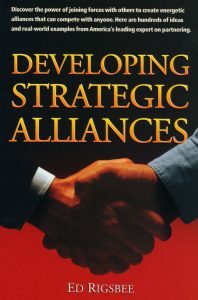 In my book, “Developing Strategic Alliances” I when into great detail about relationship bank deposits. Key for this discussion is an understanding of what creates value for the other? If you develop something your members and/or prospects do not want–you get frustrated that they do not take advantage and they get frustrated because your are shouting from the rooftops about something in which they have no interest. To earn my Certified Association Executive (CAE) credential, I had to understand the SPIE model: Scan, Plan, Implement, Evaluate and so do you. Scan what your market offers and what your customers (members) want. Then develop a plan to build it. Now build it. After you build it, review–did they really want it? Did you build it correctly? Did you market it correctly? It’s all about member perception of value. Build it correctly and tell your market how it will make their life better…and they will come because they believe in the member perception of value that you have created.